It is that time of year...pumpkins and cinnamon...everywhere. I love it! Check out this recipe I found today. I haven't made it, but it sounds like it is "to-die for"! It's the "DIY" version of Starbucks! Yowza! 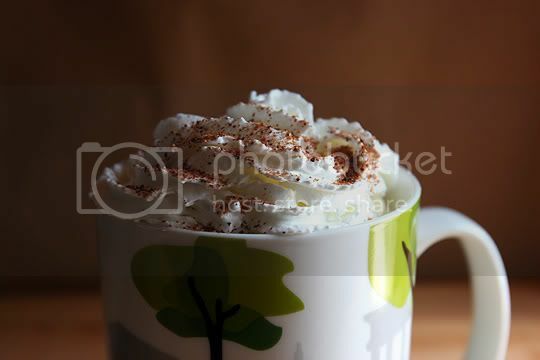 Top with whipped cream and sprinkle pumpkin pie spice, nutmeg, or cinnamon on top. Click HERE to read more about this recipe and many, many more recipes! MMMmmm that is to die for i am sooo gonna have to give it a go... maybe... if my budget lets me lol! mmm i am addicted to starbucks all the time but its so expensive.. im gonna have to try this. Wowsa!! That looks so amazing!